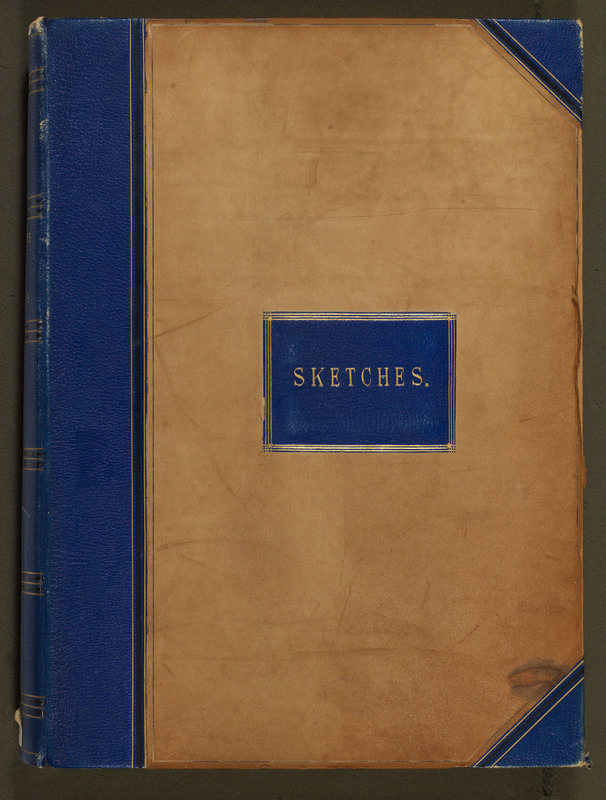 An album containing 142 drawings by Queen Victoria. 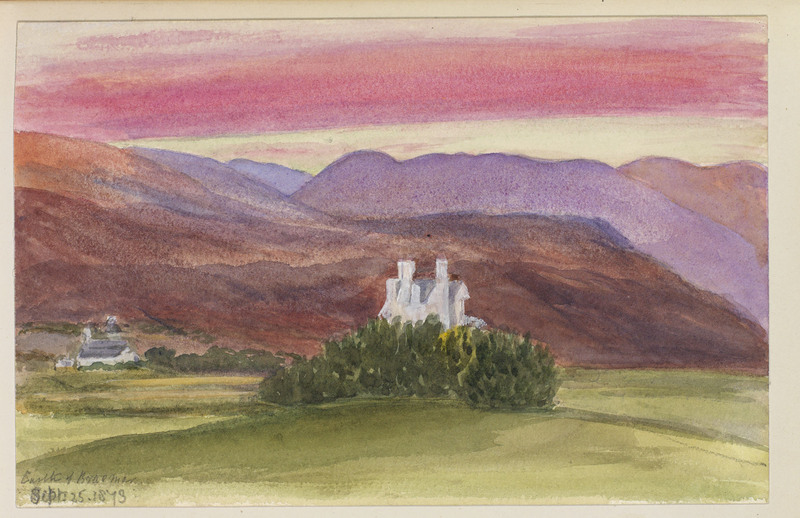 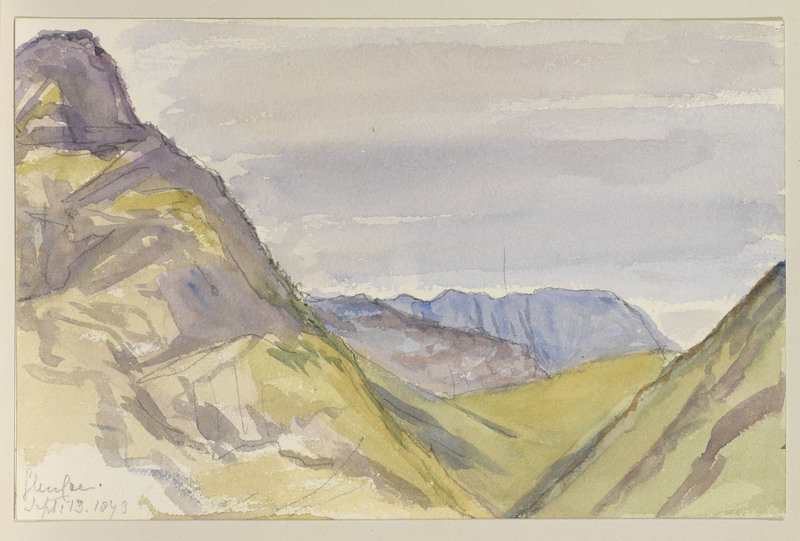 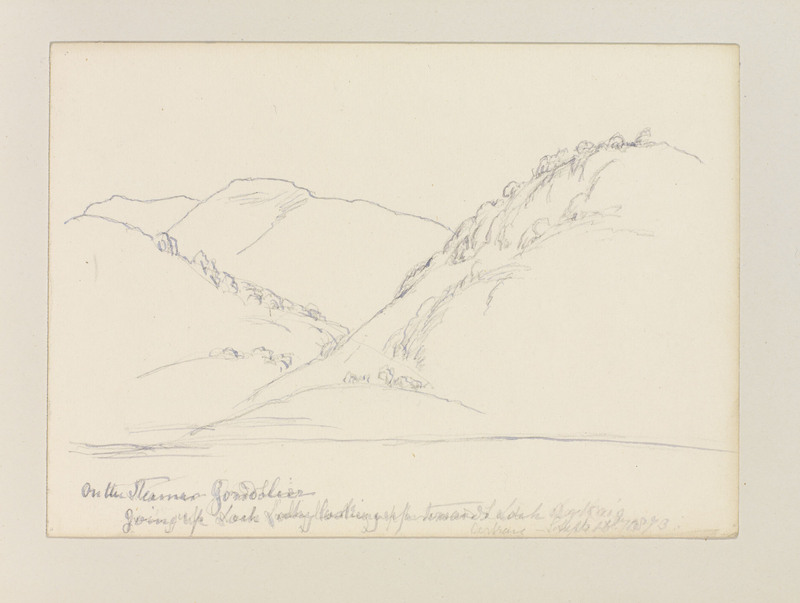 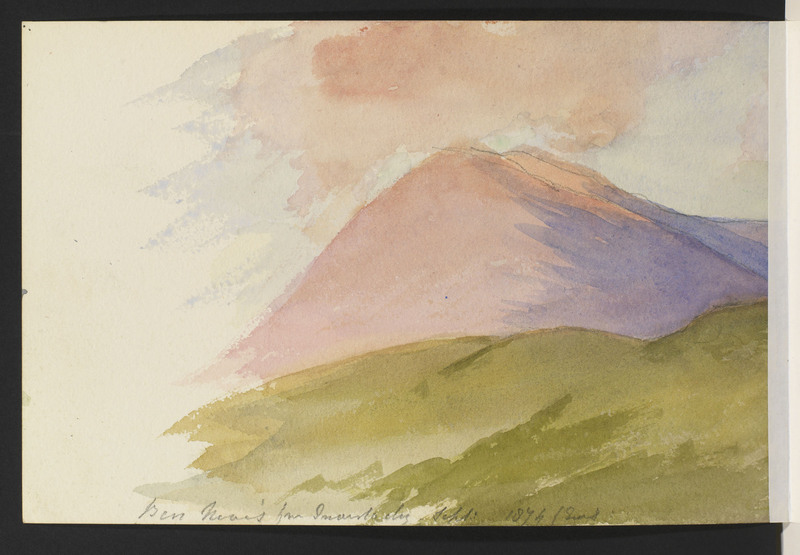 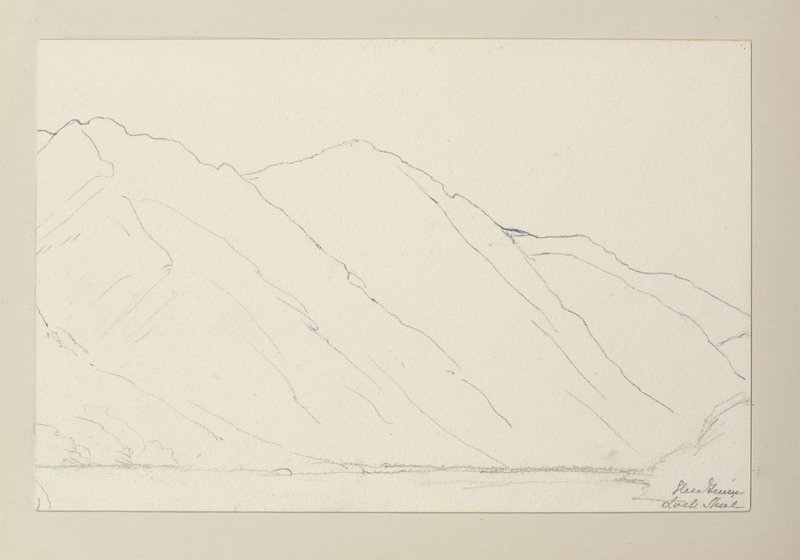 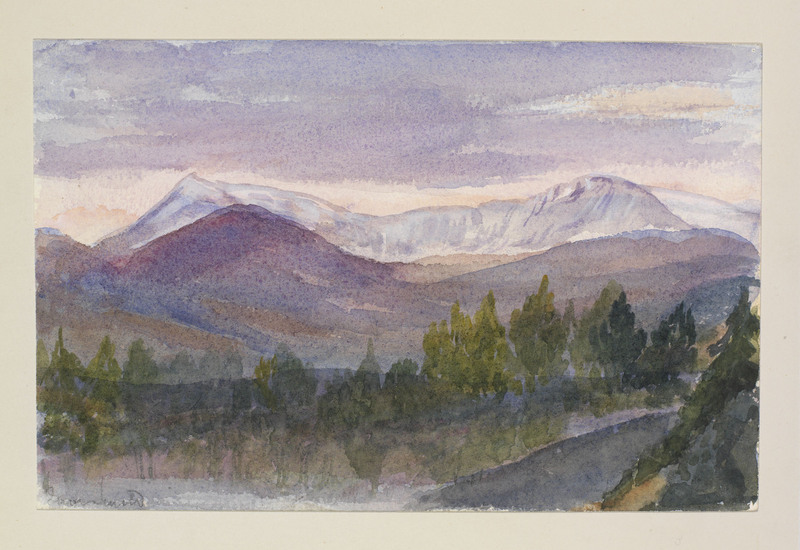 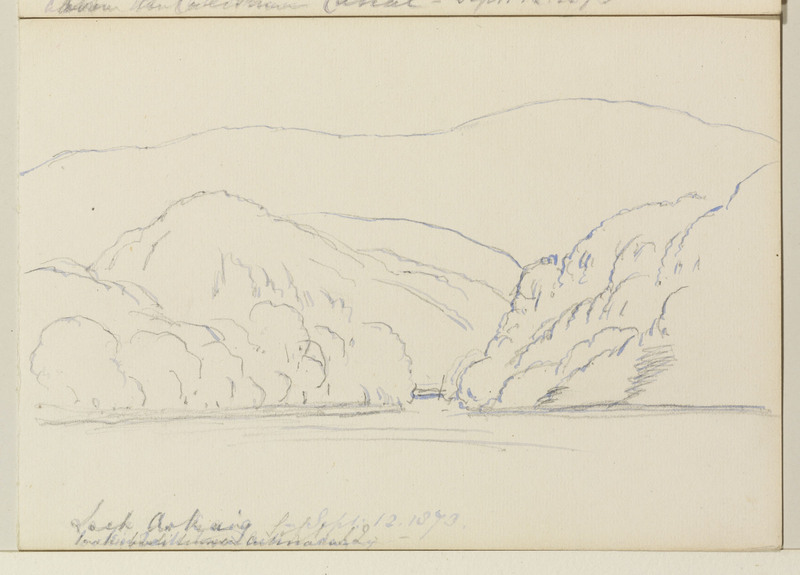 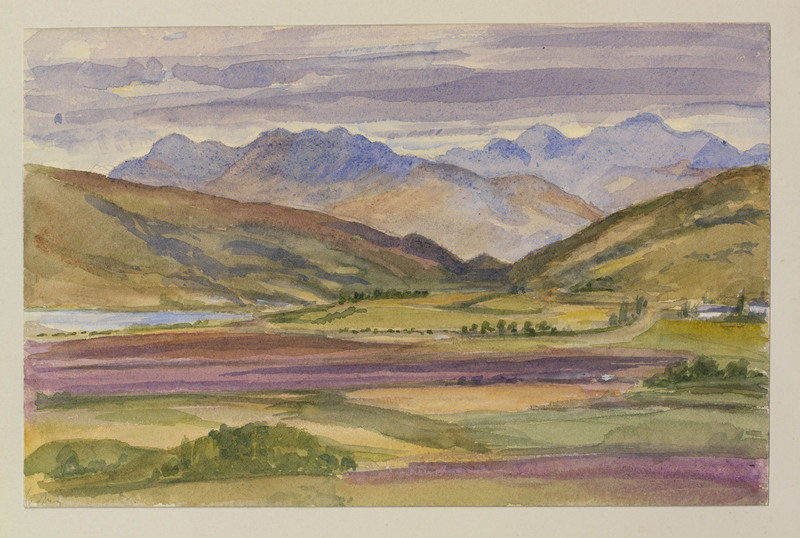 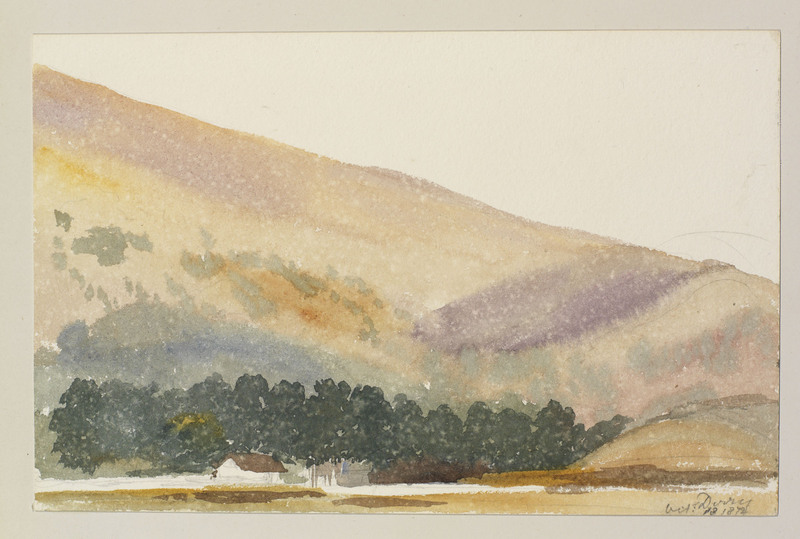 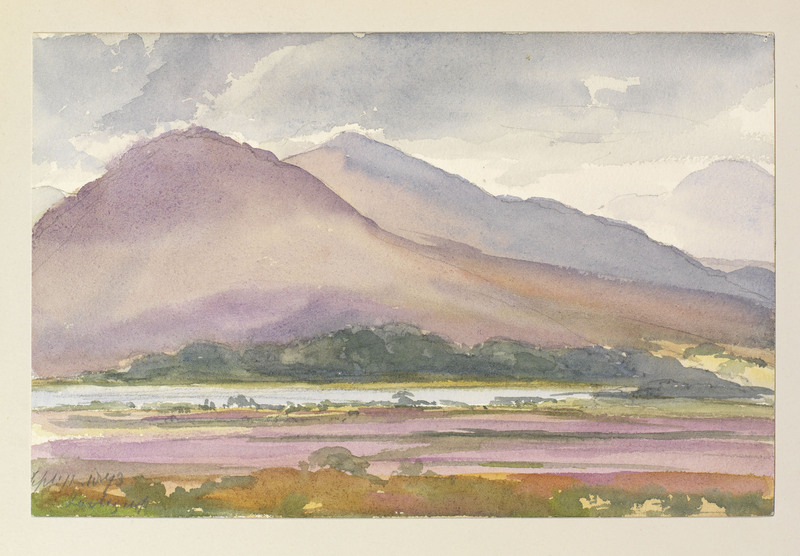 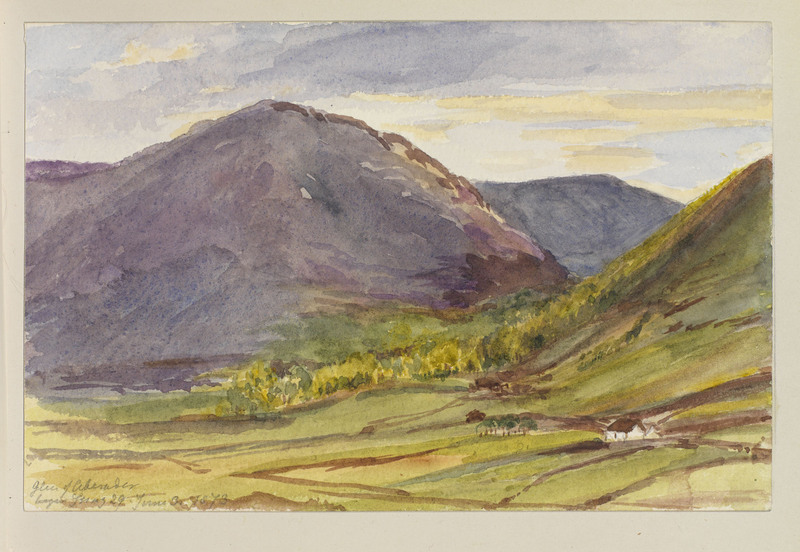 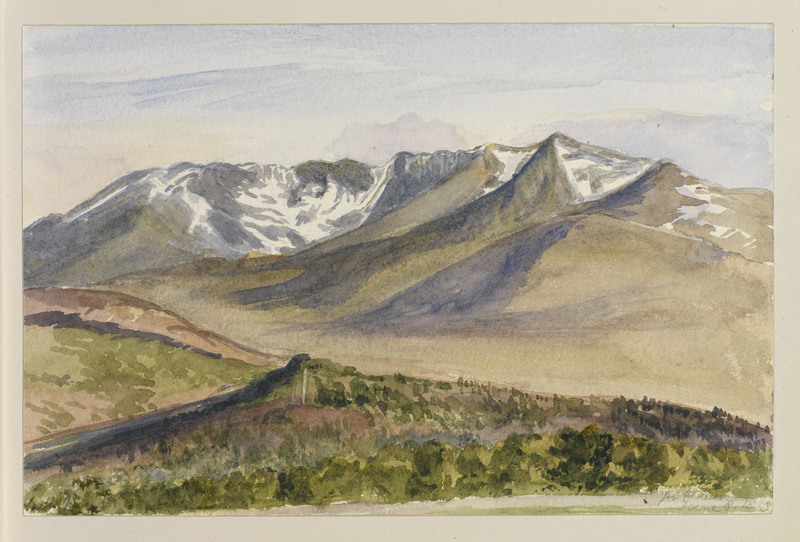 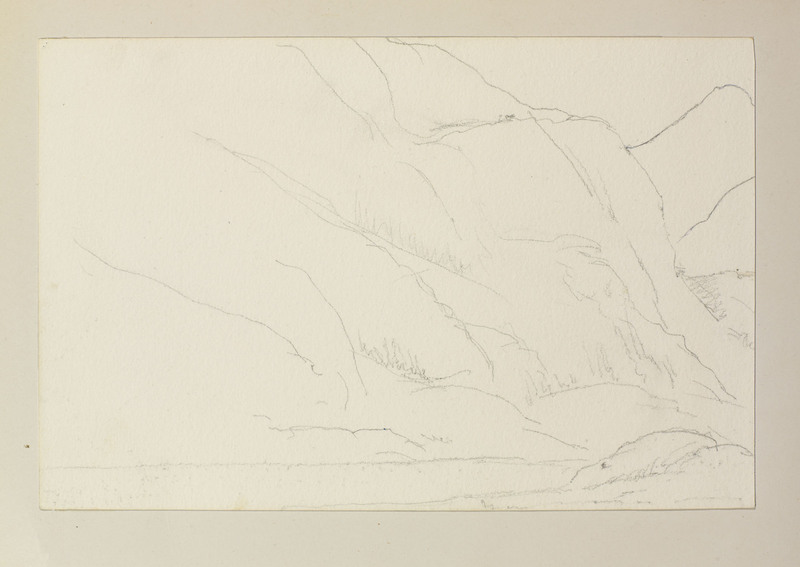 The drawings, which date from 1872 to 1880, show views of landscapes near Windsor Castle, Osborne House and Balmoral Castle, as well as views encountered by the queen as she travelled around Scotland. 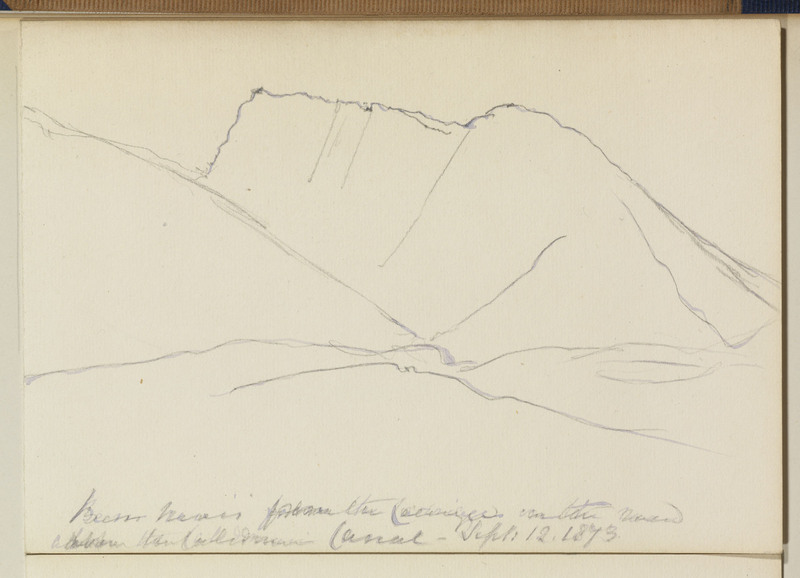 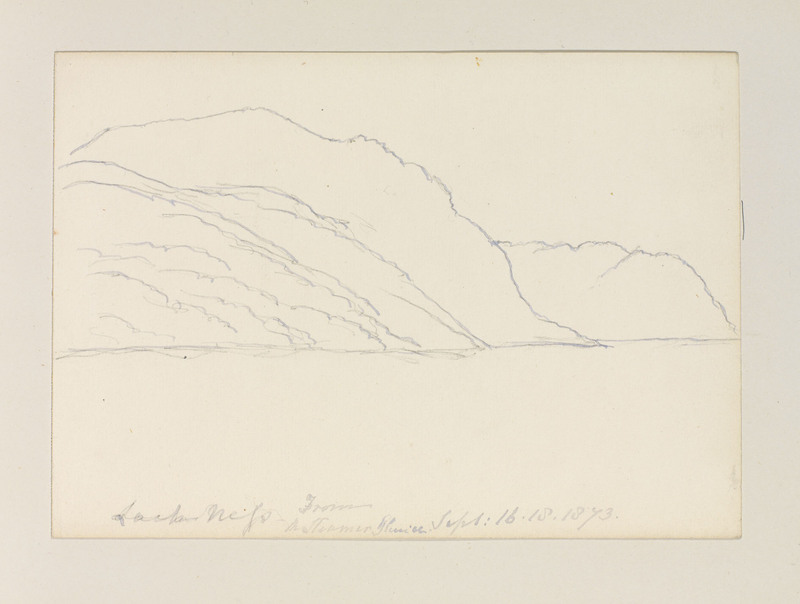 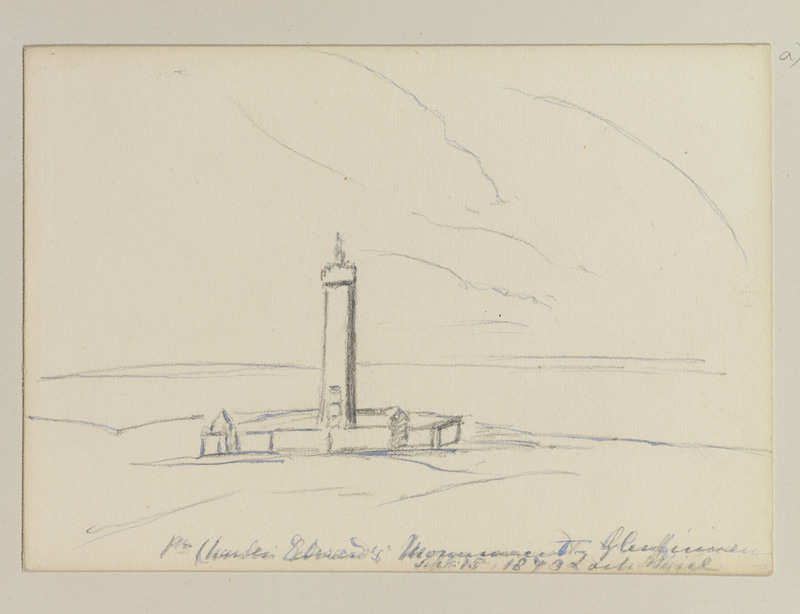 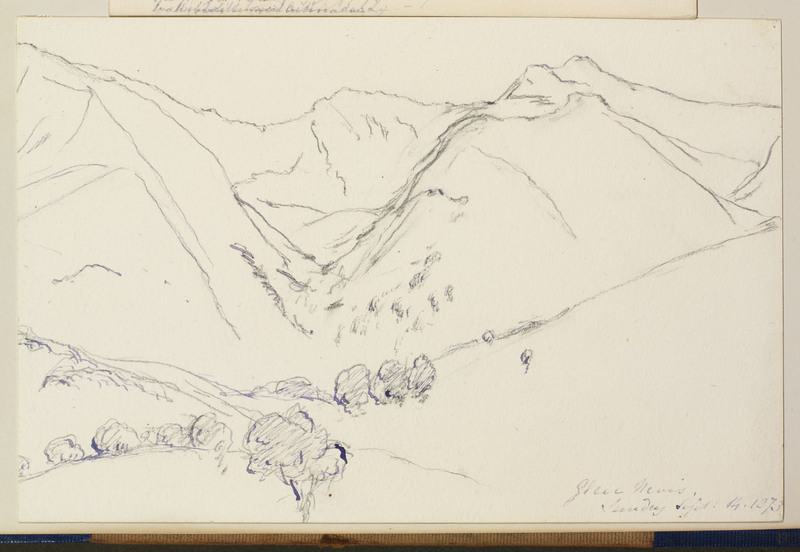 The album also contains drawings documenting Queen Victoria's visits to the continent, in 1876, and Italy, in 1879. 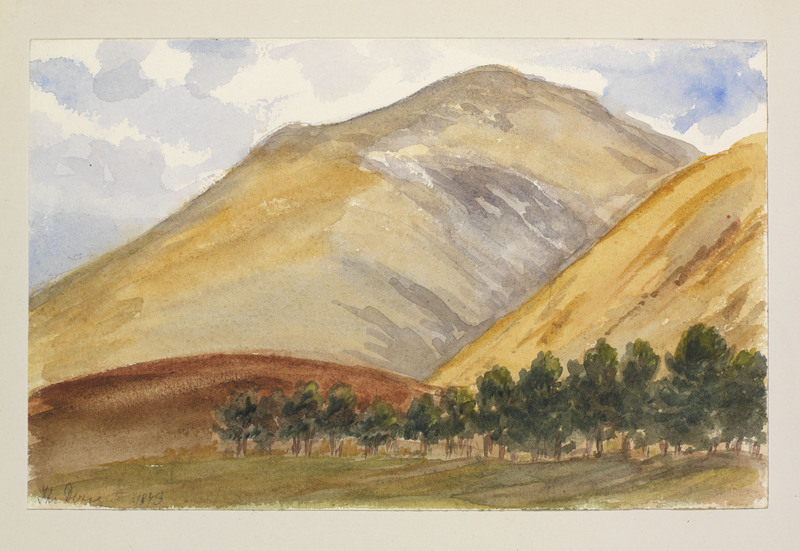 Although the album mostly contains landscapes, two portraits, of Abdul Karim and Mohammed Batsh, have also been mounted inside.